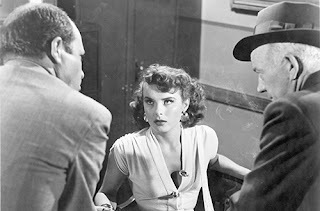 A pickpocket (Richard Widmark) just a week out of prison targets a woman (Jean Peters) on the subway. The choice is unfortunate for a couple of reasons: she is carrying not just money but film that her boyfriend wants delivered to Russian intelligence agents, and she is under surveillance by U.S. government security officers. 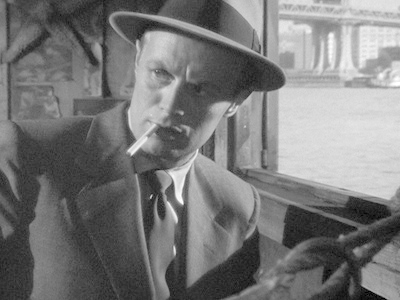 Now, Widmark finds himself in the midst of a complicated situation which may bring him a fortune, or an early death. 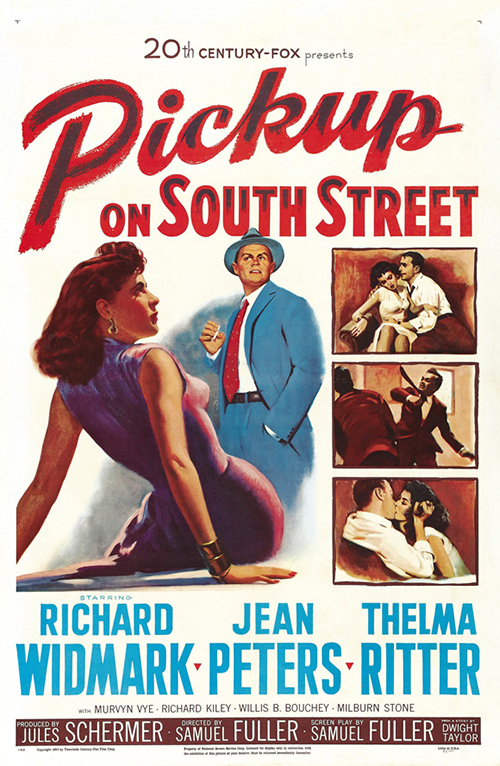 Pickup on South Street is full of smart-alec hoods, tough cops, hard dames and violence. It’s also very good. The writing is dead-on, as are the characterisations. Widmark’s confidence isn’t just bluff: this is a man who is sure of his own skills, sure of his trade and sure of his milieu. This of course makes him infuriating to the cop (Murvin Vye) on his trail, a driven detective who has put Widmark away thrice and wants to do it again - in those days, it was four strikes and the criminal was out - or, rather, in - for life. But Vye, like Widmark, plays by the rules; they aren’t quite the law, but they are rules, and everyone in this world knows them. 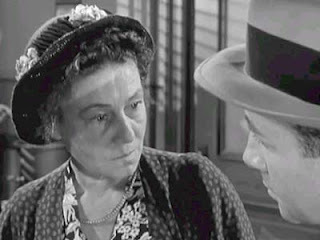 The incomparable Thelma Ritter is part of this world, too, as an information-broker, liked and respected by both cops and crooks, and whose one goal is to save enough money for a decent burial. A scene in which she displays both defiance and mortal fear shows why she was a high point in any film of which she was part. All the acting is excellent here. There isn’t anyone whom the viewer doesn’t believe. Widmark isn’t a hood with a heart of gold, but neither is he all bad. 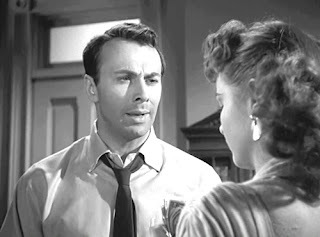 Richard Kiley, as the villain, is propelled by desperation rather than evil, and one can almost feel his cold sweat as pressures mount. Peters comes across initially as a shallow girl, just wanting to break free of her past, but, like the other characters, demonstrates depth as the movie progresses. Pickup on South Street is a cornerstone of 1950s film noir, more explicitly violent and cynical than its 1940s predecessors, but perfectly logical in its depictions. It’s a must-see movie for those who like the genre. I think the remake of this came out just this year !!! "Russian intelligence agents, surveillance by U.S. government security officers, etc, etc, etc, "
I'm not surprised; they generally re-make good movies, which is pointless, as the good version already exists. I just looked up the Wikipedia entry for the film, which contained this little gem: "Fuller turned down many actresses for the lead role including studio favorites Marilyn Monroe; Shelley Winters; Ava Gardner, who looked too glamorous; Betty Grable, who wanted a dance number written in..."
That's what any violent film noir needs: DANCE NUMBERS!